There were a multiple of changes at LaPorte High School this school year. 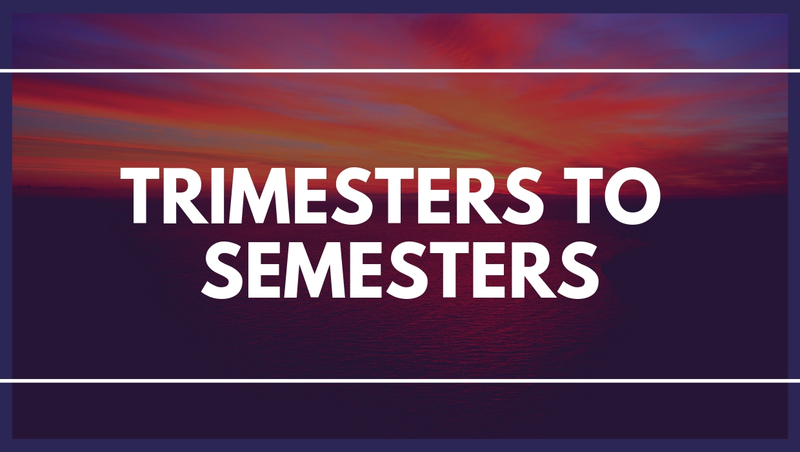 One of the most hotly talked about changes was the switch from trimesters to semesters. There were previously three trimesters in a school year with five classes a day for 12 weeks. Now there are two semesters in a year with seven classes, lasting 18 weeks. This year classes are now 45 minutes long instead of 70, with a 20 advisory period each day. The change has had an effect on almost every single individual attending the school, whether they are a newcomer or seasoned veteran. While it did come as a surprise to Casto, she has enjoyed the switch. Casto hasn’t been the only who has adapted to the new schedule. It’s been a challenge for everyone, including senior Caleb Sweeting. “It’s been a relatively gradual switch. The teachers have adjusted pretty fairly to the new time schedule with a few exceptions,” Sweeting said. It hasn’t just been hard on the students though, as teachers have to adjust to the new schedule. To do this, some have completely altered their teaching styles. It’s been a tough adjustment for most attending the school, the change won’t stop or discourage teachers from teaching and students from learning. The switch from trimesters to semesters was done in order to align with the dual credit courses and fill in gaps in the learning process. The seven classes fixes all the problems caused by the trimester schedule. Change can be difficult, but LPHS has adapted well and is looking forward to a successful second tomorrow.